Sure, there are loads of beautiful home office designs on Pinterest, but tell me honestly, is that what yours looks like? I know mine doesn’t. It’s not that beautiful zen retreat. However, home offices are important if you’re running your own business, and they do deserve some love, care and attention. 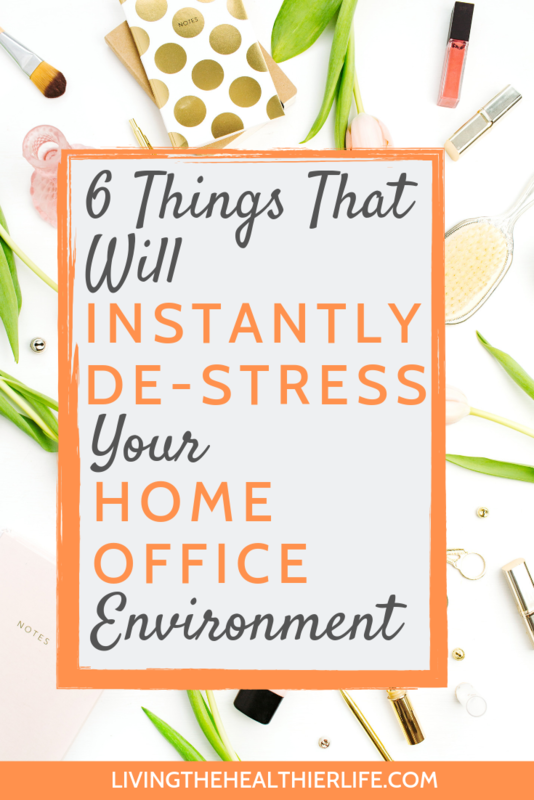 But rather than going down the route of an expensive refit, here are 6 simple ideas you can try today that will give your home office that much needed boost – and reduce your stress levels at the same time. (Full disclaimer time. I have a habit of killing plants). Nevertheless, plants play a vital role for the quality of our environment and are very much underappreciated and overlooked, especially when it comes to work and office spaces. At home, we have a air quality monitor for all the rooms in our house, and it’s a big eye opener watching those stats change, and the air quality dropping when you spend a lot of time in a room. An office is often one of the smallest rooms in the house so it’s going to be more prone to poor air quality if you are in there for a long time, and a plant is a great, natural way to help improve the air quality and oxygen levels. That’s why plants were an obvious pick for this list. They don’t cost much, they look lovely, and they will improve the air quality in your office. What’s not to love? I’m a firm believer that a physical plan right in front of your eyes is more effective than something stored away on a spreadsheet on your laptop. Having a plan written down and in front of you in your personal work space means those tasks aren’t cluttering up your mind. In fact, that’s not just my opinion. 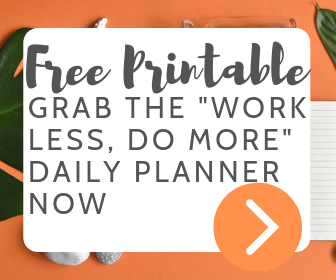 Many people find an improvement in productivity when using a physical planner instead of a digital one. What’s more, when you have better productivity, you naturally help manage your stress levels. Sometimes it’s the small things that are really bad for your stress levels, precisely because they are so small you don’t actually notice them, even though there are there, daily, giving you tiny bits of frustration throughout the day. In fact, there’s a study on that very subject, by Oregon State University, which found a higher mortality rate for those reporting higher levels of small, everyday stresses. So, cables! Who doesn’t get annoyed with messy cables? And it’s an easy (and cheap) stress to fix. So get yourself a cable tidy for your office like this one from Amazon, and watch those tiny stresses melt away. Aromatherapy can work wonders. A powerful scent when you walk into a room can put you in a different state of mind immediately. Depending on what oil you choose, it might make you feel calm or energetic, positive or sleepy. It might even remind you of Christmas and make you feel bubbly and festive (unless it’s April). Rose oil: Rose oil is ideal if you need a mental boost. Perhaps when you have a challenging work day planned. It will give you focus and help lift your mood. It’s also a great oil for combating feelings of stress. Bergamot: Bergamot is the best option if you are feeling tired. For those times when you need an energy boost to open up your laptop and start your working day, add a few drops of this to your office. Neroli: This oil is perfect for reducing worry and anxiety. So keep it at hand when you’ve had a bad day with your business and need to stop those negative thought patterns before they start. A lot of people swear by vision boards for helping them to focus on their goals. I know from my own experience setting up a business from scratch just how easy it is to lose sight of the big picture. A bad day or a bad week, when you’re drowning in detail, can make you feel like quitting. So it’s essential for your stress levels that you have the opportunity every day to step back from that detail and remind yourself of the big picture – the big why that motivated you to start in the first place. 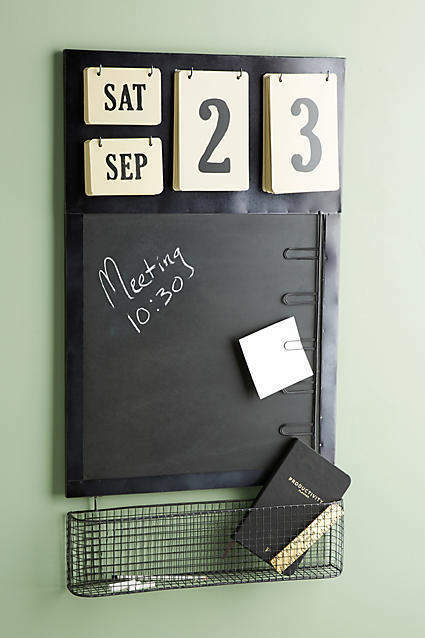 And a visual board is a fantastic way to do that. 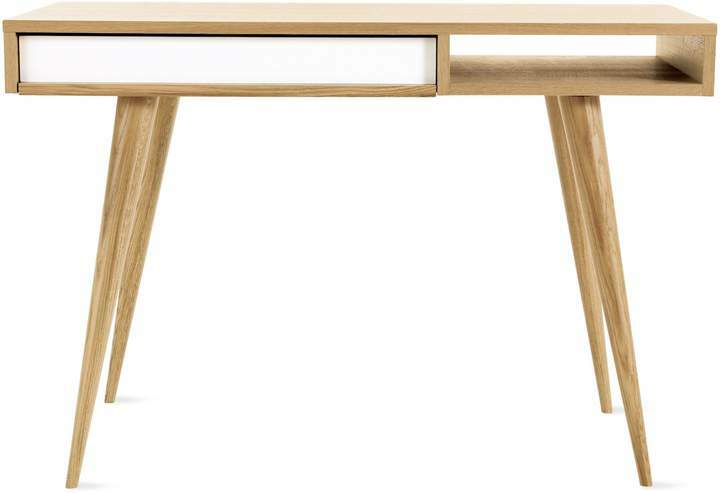 A well designed desk such as this beautiful clean design from Design Within Reach can give you a massive boost to your productivity. And one of the best ways you can reduce your stress is by reducing the overall hours you work but boosting the productivity in the hours you do work. So a desk is a worthwhile investment if you plan to work in your home office for the foreseeable future.